A great Colour Combo of Navy and Rich Gold by Ascot Couture Milliner Nataliya Tutus. 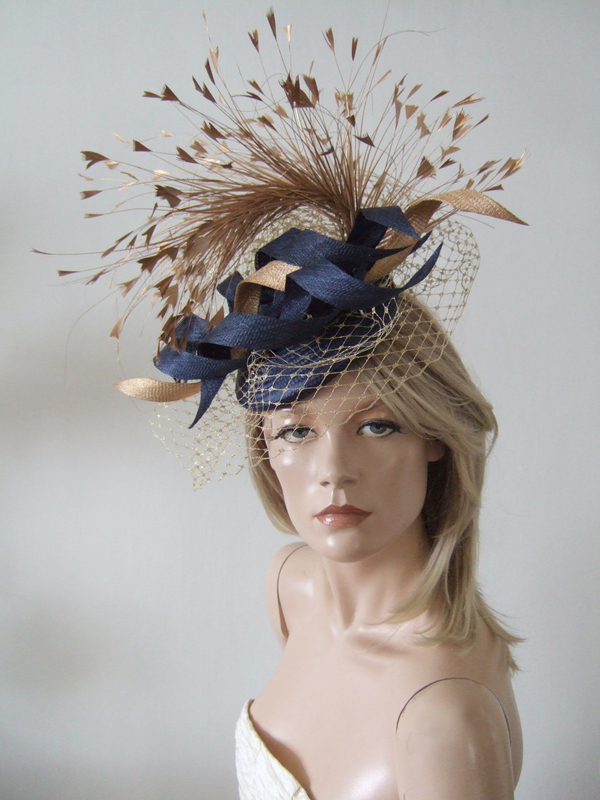 Navy Blue Smartie Base, decorated in Sinamay Twists of Gold and Navy on a bed of Gold Merry Widow veiling and backed with a massive spray of stripped coque feathers also in Gold. A Great colourway to dress up a Navy dress, and accessorize with Gold. Attaches by black thin elastic that wraps under your hair. Smartie Base 7" x 7", and arrangement height 13".